As I mentioned at the end of Part 1, we’ll now focus on the remainder of the Woodinville Wine Country Tweet Up covering wines from Pomum Cellars, William Church Winery, Patterson Cellars, and Matthews Estates. Washington State is one of the few places on Earth that excels at growing the classiest white grape of all: Riesling. This fact has been well-known in the State for decades and as a consequence some of the oldest vinifera plantings happen to be Riesling. One of the finest old vine Riesling vineyards is the excellent Upland Vineyard near Sunnyside. Approaching 40 years of age, these vines have become entrenched with their environment and therefore yield some the best expression of Washington State Riesling available. Our 2008 Riesling is made with the utmost respect for the fruit. Our goal is to best convey the vines’ complex story without any obstructions. This means no oak, fining or cold stabilization was used during winemaking. Aromas of citrus, apricot and nectarine are followed by noticeable minerality and a long finish that is perfectly balanced by the excellent acidity. This wine is ready to enjoy on release and may even evolve further in the bottle for a few years. One hundred and twenty-five cases produced. Our award-winning Viognier has gained a reputation for its beautiful aromatics, rich flavors & incredible balance. The heat in the summer of 2009 resulted in a concentrated wine full of ripe tropical and honeysuckle notes and rich flavors of pear & apricot. It’s the perfect summer deck wine that has the acidity to keep it fresh and inviting while less than 1% residual sugar rounds out the flavors. 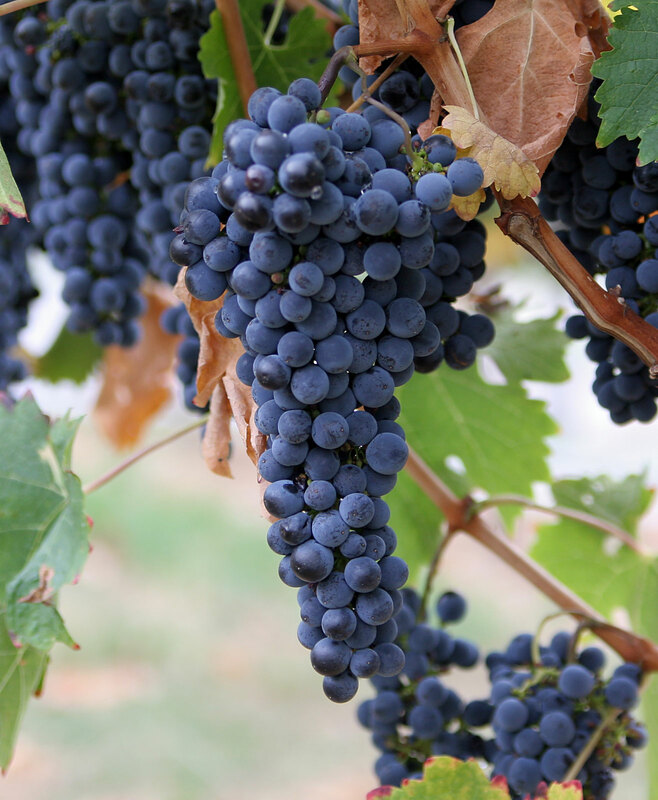 A long slow fermentation helps retain the beautiful aromatics this grape is known for. Everything you’ve come to expect from our Viognier and more. Serve with gourmet cheeses, seafood or try it with your favorite spicy Asian dish. My take: If you notice in the description, it suggests that you can enjoy this “with your favorite spicy Asian dish.” This is where the debate comes in 🙂 It is my suggestion that this wine can be enjoyed with habanero bbq ribs or another spicy blend of bbq. The representative from William Church wasn’t so sure. So, what we’re going to do is make this wine and my ribs as part of our next food and wine pairing challenge! As far as the wine goes, it has a light sweetness to it and I picked up hints of pear flavor on it. You can find this wine in grocery stores & wine shops throughout the Puget Sound or at William Church Winery. Patterson Cellars brought two wines to the event which includes a grape that’s on the rise in Washington. Straw colored, with lush pineapple, honeydew and nectarine followed by a bright acid finish. This Chardonnay has depth and balance with a hint of toasty oak and a crisp fruit finish. My take: The nose on this wine was a bit unique and it kept drawing me. I’ll need to revisit this wine so I can tell you more about it. At the time I tried this one, I couldn’t tell if it was crisp or had a little bite to it. Currently, this wine is only available in the tasting room. This dessert wine was made from Roussanne that was left to hang until mid November, this extended hang time allowed the fruit to dehydrate and concentrate the sugars. The fruit was whole cluster pressed, after pressing, the sugar was 38.5 Brix, the fermentation was carried out for four months in once used French oak barrels using Sauterne yeast. The fermentation was stopped when it was determined there was a proper balance of sugar and alcohol. 11.5% alcohol, 9.2 g/L TA, 3.51 pH, Residual sugar 18%. Enjoy the aromas of dried apricots, mango, and honeysuckle, followed by flavors of pear, nectarine, and honey, firm acidity with a long peach finish. My Take: This is just an excellent wine throughout. I find myself wanting to include this in a dessert, whether in the baking process or just putting it on top of ice cream. This wine is available in wine shops, select grocery stores, and in the tasting room. “A pale golden hue, with notes of pineapple and honey. A quick swirl releases additional aromatics of ripe peach and melon, plus a hint of flint. The palate is bright and vibrant, exhibiting lush minerality and a balanced silky texture.” – A.M.
At 5 mins: When we tried the bottle that was open for 5 minutes, we felt the wine was fairly light and had a taste of stone fruit. At 1 hr 30 mins: When we tried the bottle that was open for an hour and a half, we enjoyed the wine a lot more. It was a bit more subtle on the nose, the taste was more smooth and it just got better as it opened up. One other interesting fact is that this wine tastes a lot better in an enclosed wine glass vs a wider glass. Keep that in mind when pouring this for friends. Deeply colored, dark garnet to the rim. A super-ripe nose of currants, blackberries, black cherry, plum and licorice. A touch of spice in the background, with a hint of vanilla bean. This wine is thick and rich, with super-fine mouth-coating tannins and the texture of fine dark chocolate on the finish. A Claret unlike any we have produced to date. At 10 mins: At 10 minutes, we couldn’t really taste the fruit in the wine. It felt confined, tight, and/or not very open. The nose of the wine did smell good though. Overall, we learned a few lessons from this test. The first thing we learned was never judge a wine by your first taste. Sometimes a good wine needs time to breathe and open up as wines evolve over time. What you taste at one moment will taste different the next. Had I tasted these two wines at their early points, I may not purchase them. Knowing what I know about them now, I would highly suggest them. You can pick these wines up online or at their tasting room. Those were all the highlights from the Woodinville Wine Country Tweet Up. We had a great time trying all the wines and I look forward to visiting each of these wineries and/or having them at one of our events very soon!